One to Watch: Noah Schwartz | The Kids Beat | Kids VT - small people, big ideas! Noah Schwartz lives on a remote dirt road, but his lemonade stand business is booming. 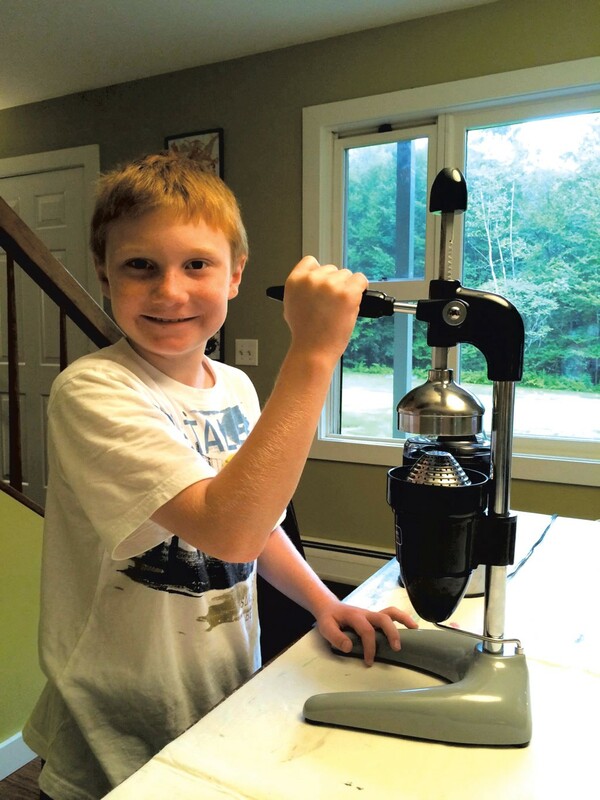 Since launching Noah's Fizzy Lemonade four years ago at an East Warren kids' farmers market, the rising sixth-grader has seen demand for his concoction climb. Noah first began experimenting with the tried-and-true summer beverage when he was just 7, carbonating kegs of lemonade using his dad's home-brewing equipment. The formula was a success — he sold five gallons at the 2011 Vermont Music Festival, held at the Lareau Farm, home of American Flatbread. Two years later, his sales at that festival doubled. In 2014, Clay Westbrook, president of American Flatbread Co., asked Noah to help represent Vermont at the Big E, a major food, music and agricultural fair held in Springfield, Mass. 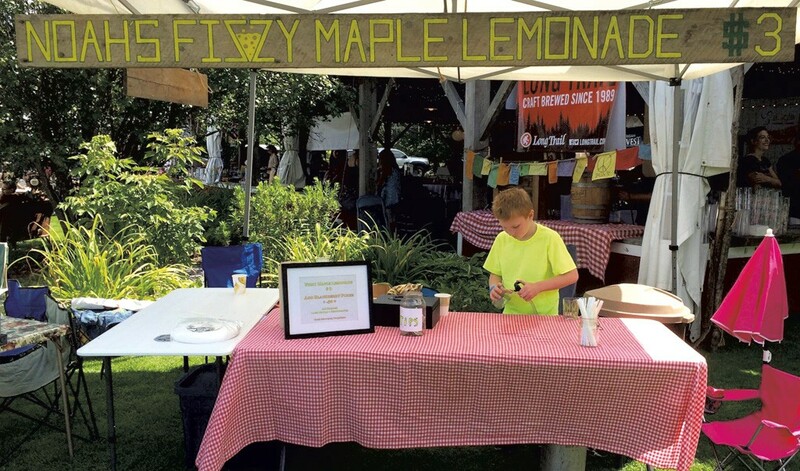 Noah accepted, and upped his lemonade game, adding maple syrup — courtesy of local sugarmaker Eastman Long — to the mix. With help from family and friends, he squeezed some 560 lemons to make 50 gallons of his signature blend, renamed Noah's Fizzy Maple Lemonade. He nearly sold out at the Big E. And just last month, according to his dad, Joshua, Noah sold his entire 25-gallon stock of lemonade at Warren's Fourth of July parade and celebration for $3 per 16-ounce cup. As savvy as the young entrepreneur has been in moving his product, he's also enthusiastic about research and development. "Figuring out recipes is like tinkering," he says. 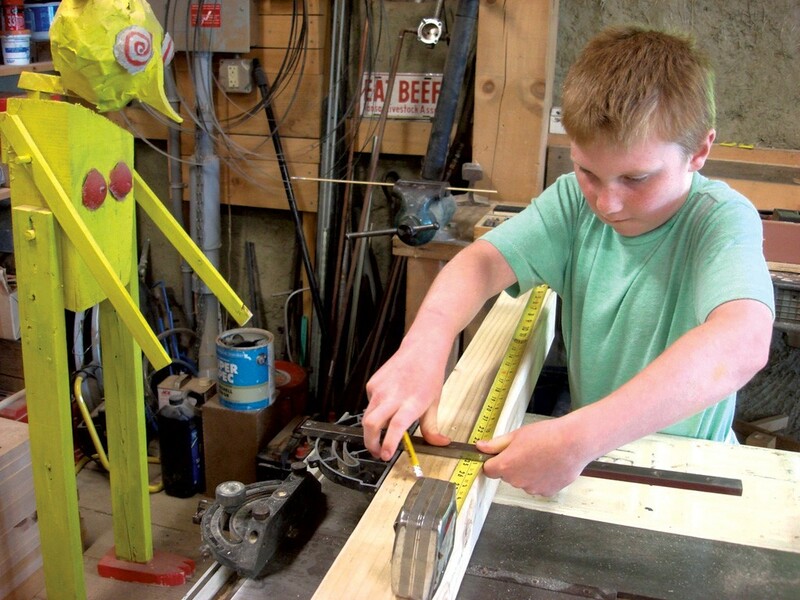 Noah has a voracious appetite for invention, and a portion of his profits fund other projects, such as the standing lemonade cooler and dispenser he built with the help of a neighbor, woodworker Eddie Merma. The unit includes a bottle opener and a hidden, built-in bank of magnets that ensures bottle caps stick to the side of the cooler instead of falling to the ground. Noah has filled his family's garage with all manner of creations: a duct-tape hat emblazoned with the Youtube "play video" icon, a robot Halloween costume, complete with voice modulator and flashing LED-light eyes, and a Lego vending machine, which dispenses M&Ms when you feed it a coin. His crown jewel is a rocket launcher that uses pressure from a bicycle pump to propel a paper-and-duct-tape rocket more than 100 feet into the air. Noah showcased the contraption at the 2013 Champlain Mini Maker Faire in Shelburne, where he'd set up a booth to teach attendees how to rapid-prototype their own rockets in minutes — and then launch them. Noah says he isn't sure what his next project will be, but he knows it will be "fun to make and fun to use." Producing lemonade should keep him busy until the start of the school year, and he and his parents are in talks with restaurants and food-truck vendors interested in tapping into his fizzy refreshment. To kids looking to keep busy during the lazy days of summer, Noah offers this advice: "You don't have to just go out to a store and buy something." Except maybe duct tape, or a bag of lemons. Learn more about Noah's Fizzy Lemonade at his website, drinkfizzy.com.